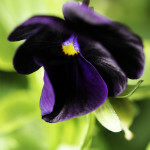 I want to eat it up, and actually I could as it’s edible. 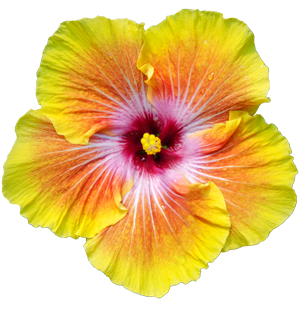 This flower is found in many vivid colors. 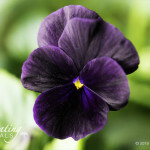 I picked this one for its unique flower color: deep purple-black velvety petals, though, what struck me was the bright yellow light radiating from its center… a reminder that there is a ray of sunshine in everyone. 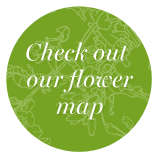 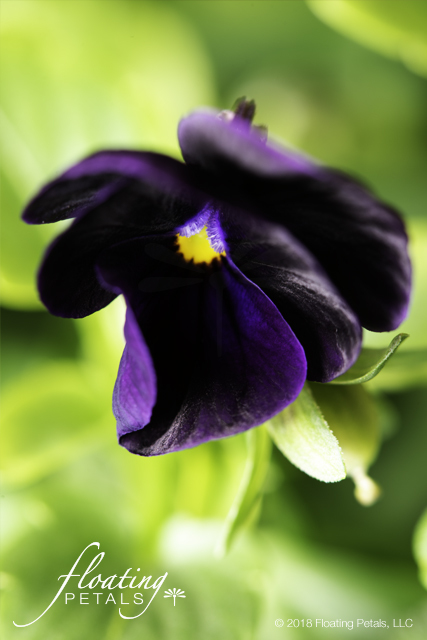 Find this flower photograph and others available for purchase in our floral print store. 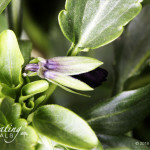 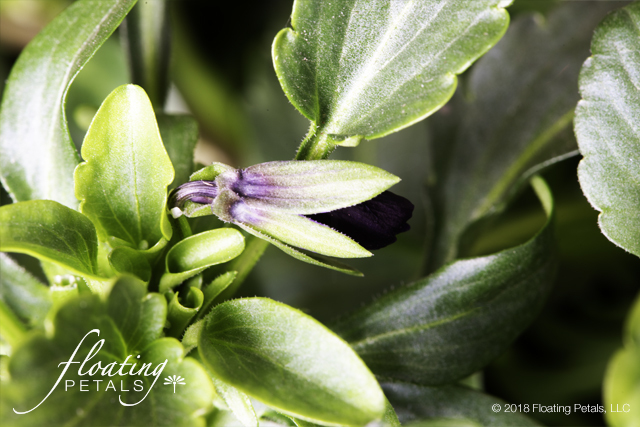 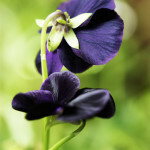 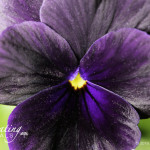 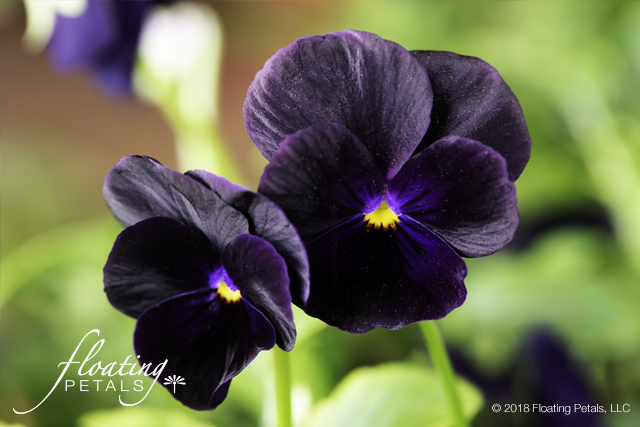 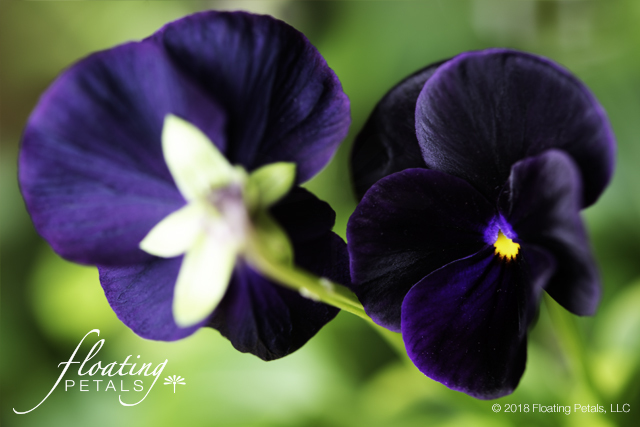 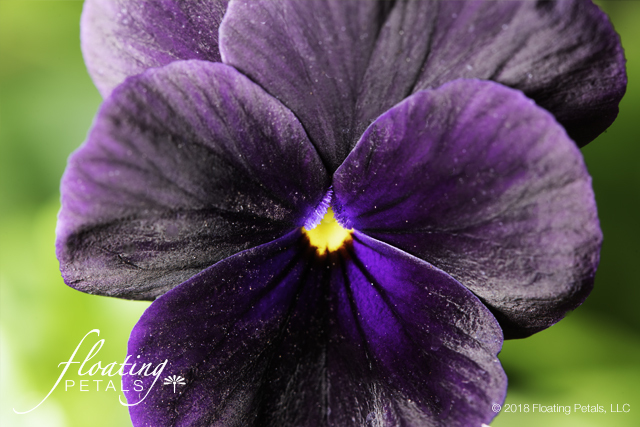 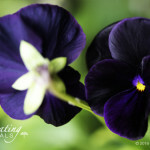 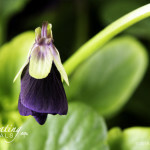 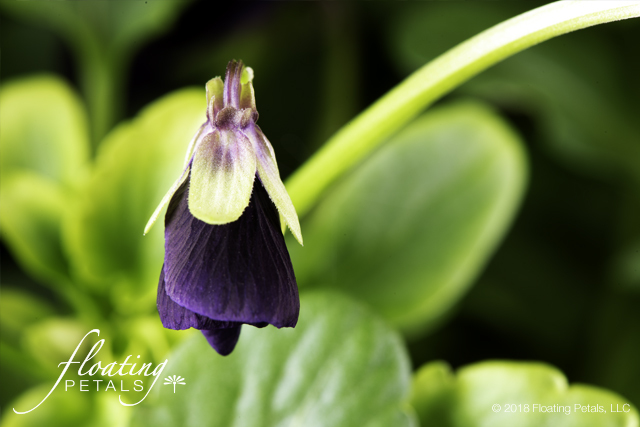 Deep purple-black petals are highlighted with a small, gold eye. 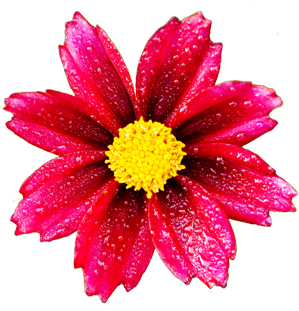 Flowers are borne singly and have five distinctive rounded petals: a spurred lower petal, two lateral and two upward facing petals. 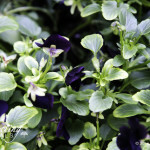 A cultivar in the Sorbet series, this viola is compact, providing a long season of interest. 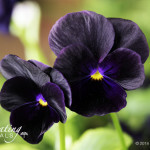 Although the flowers are not as large as pansies, violas are less prone to legginess. 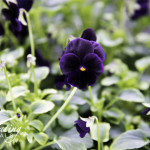 Grow in containers, in front of a bed or rock garden. 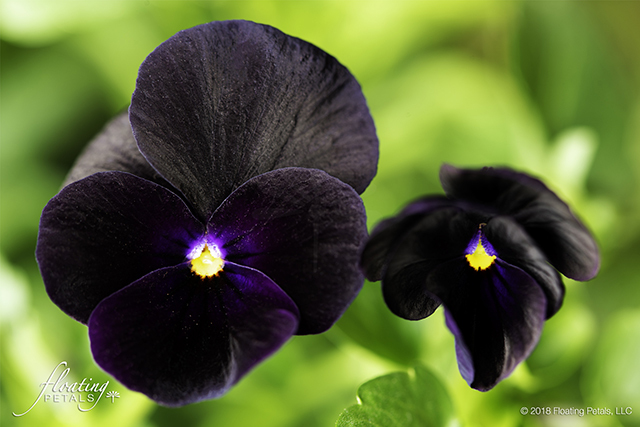 They are an edible flower. 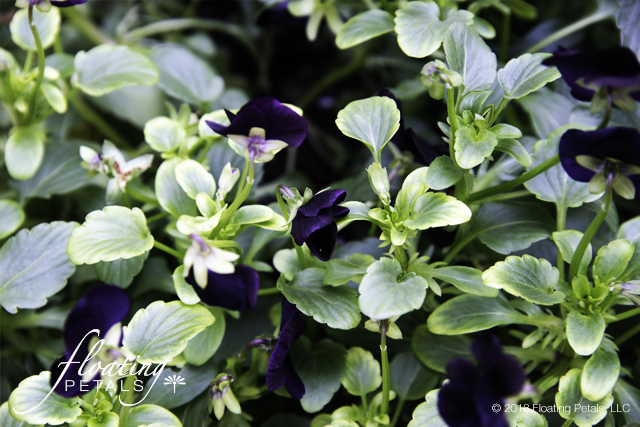 Grow in fertile, humus-rich soil in full or part sun. 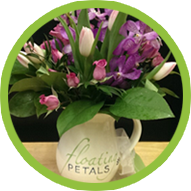 Prefers moist, well-drained soil. 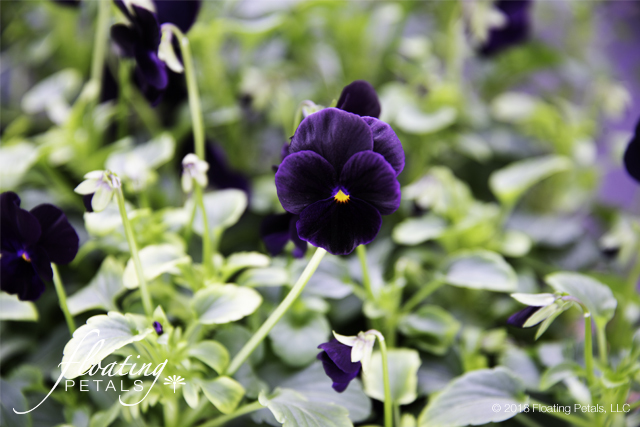 Sew in a cold frame or as soon as soil can be worked. 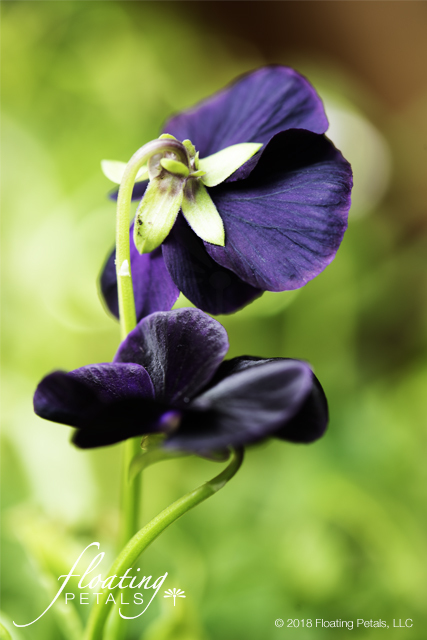 Allow to self seed or plant successively. 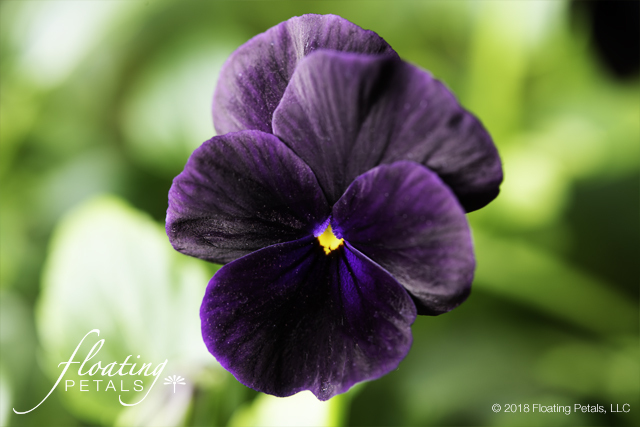 Violas and pansies are often associated with early spring but seeds can be started in summer and provide the same cool season color for fall.